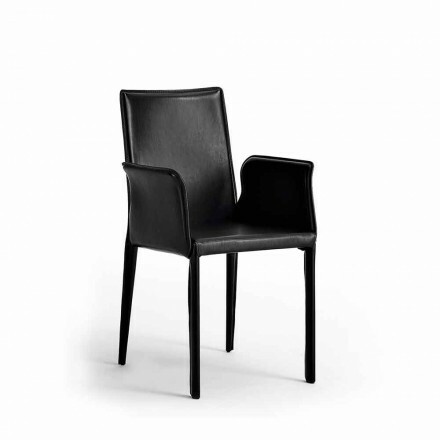 In this section of our website we present the leather dining chairs, our proposals come from a careful selection that our staff has made for you by choosing the modern style and refined and elegant Italian design. In the Viadurini Collezione Cuoio you will find design models conceived in a modern key and made with ancient and traditional materials such as leather or more modern like the eco-leather. 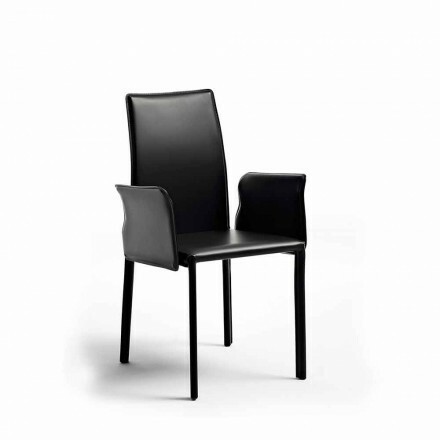 The leather chairs for the dining room in this category are produced by the best Italian brands in the sector specifically for Viadurini and made with comfortable materials designed to last over time, keeping intact charm and elegance, available individually or in sets of 2. 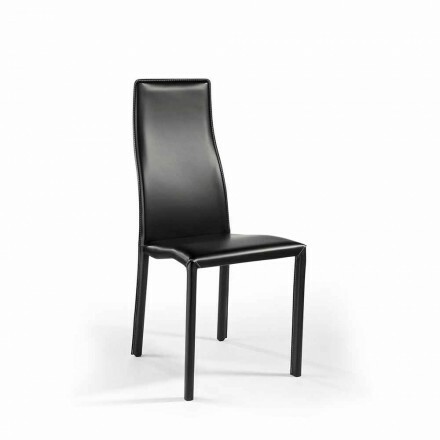 You will find models with smooth or braided backs with or without armrests (covered or not). 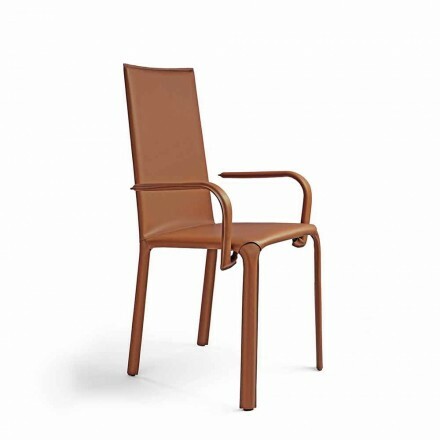 Chairs available in different solid colors: white, black, grey, beige, brown, taupe, red, dark brown, colored or checkered, in short colors ideal for office, kitchen, living room and every room of the house. You can buy online with maximum security, and if you do not find exactly what you are looking for or need more information do not hesitate to contact our staff without obligation. We will be happy to help you and assist you in your online purchase.